Jillian C. Evanko is our President and Chief Executive Officer, serving in this capacity since June 13, 2018. Ms. Evanko joined the Company on February 13, 2017 as our Vice President of Finance after serving as the Vice President of Truck-Lite Co., LLC since October 2016. Prior to her position at Truck-Lite Co., LLC, Ms. Evanko held multiple executive positions at Dover Corporation and its subsidiaries, including the role of Vice President and Chief Financial Officer of Dover Fluids since January 2014. Prior to joining Dover in 2004, Ms. Evanko worked in valuation services at Arthur Andersen, LLP and also held audit and accounting roles for Honeywell and Sony Corporation of America. Jeff is our Vice President and Chief Financial Officer, providing leadership to our global finance, accounting and information technology functions. Jeff has over 25 years of experience leading global organizations focused on highly engineering products across multiple industries including energy, manufacturing & distribution, aftermarket services and technology. Prior to joining Chart, Jeff served as Vice President of Finance & Operations and Chief Financial Officer of CognitiveScale, an industry leader in the growing field of enterprise-grade artificial intelligence solutions. Before joining CognitiveScale, Jeff was Vice President and Chief Financial Officer of Dover Fueling Solutions, an operating company of Dover Corporation which was formed after Dover’s acquisition of Wayne Fueling Systems in 2016. As Vice President and CFO of Wayne Fueling Systems, Jeff played a key role in the establishment and financing of the company following its separation from GE Oil & Gas in 2014 and its establishment as a stand-alone entity under the ownership of Riverstone Holdings. Earlier experience includes leadership roles driving the growth and development of technology companies including Dresser Inc. (acquired by GE), Pavilion Technologies (acquired by Rockwell Automation), Trilogy Software, and Applied Materials. Jeff started his career in the audit and business advisory practices of Price Waterhouse. Jeff is a graduate of the University of Texas at Austin. Gerald F. Vinci is our Chief Human Resources Officer and has served in that capacity since December 5, 2016, when he joined the Company. Prior to joining the Company, Mr. Vinci held various executive Human Resources roles at Dover Corporation from February 2013 to November 2016, including Vice President, Human Resources for Dover Engineered Systems and Dover Refrigeration and Food Equipment Segments. From 1997 to 2013, Mr. Vinci served in numerous Human Resources executive roles and as Senior Counsel for Harsco Corporation. Prior to that, Mr. Vinci was an attorney for Sunoco, Inc.
President, Chart Energy & Chemicals, Inc.
Joe is currently the President of Chart Energy & Chemicals, Inc. (“E&C”). Prior to this role, Joe held the role of Vice President / General Manager of Chart’s Brazed Aluminum Heat Exchangers (BAHX) business. Joe began his career as a Sales/Applications Engineer with ALTEC International in 1993. As ALTEC transitioned into Chart Energy & Chemicals, Mr. Belling took on a variety of roles related to design and application of BAHX in key markets of Industrial Gas, Hydrocarbon and Petrochemical Processing, and LNG. In 2015 Mr. Belling was promoted to Sales Engineering Manager. He also has related experience with Trane, a multi-national corporation specializing in the HVAC industry, where he held roles of increasing responsibility as a Product Planning and New Product Introduction Leader for Trane’s Global Parts Division. Joe has a Bachelor of Science degree in Mechanical Engineering from the University of Wisconsin-Platteville. Hans is the President of Chart Distribution and Supply, Eastern Hemisphere. Before that he was President of D&S Europe. He joined Chart (MVE) in 1999, as Business Director Applied Technology, responsible for Cryo Bio and LNG equipment. Subsequently, he was the Business Director LNG and Systems Group, (business responsibility for LNG equipment and installations, vaporizers, VJ pipe, spare parts and services). Hans then held progressive roles in Sales and Marketing, leading the sales team in Europe, Africa and The Middle East, until he was appointed Managing Director of Chart Ferox in 2008. Before joining Chart, Hans spent 10 years at BOC Gases, serving in several Development and Sales Management positions. Hans started his career at Heineken Breweries, where he held multiple roles in production and management, leading to the role of Brewmaster, where he was responsible for production management and quality. Hans holds a Masters degree in Forestry Economics from the Agricultural University Wageningen in The Netherlands. Grady is President of our Distribution and Supply, Western Hemisphere. Prior to this role, Grady was the President of Hudson Products Corporation, a company acquired by Chart in 2017. Prior to Hudson, Grady led the manufacturing organization for Exterran Holdings eastern hemisphere based in Dubai, with operations in the U.K., Singapore, India and the UAE. During his tenure Grady led the transformation of that organization from a products provider to a provider of turnkey modular plants. Central to this transformation was the establishment of major engineering centers in Chennai, India and Dubai for the design of turnkey plants as well as the development of fabrication capacity for the delivery of modular plant equipment. 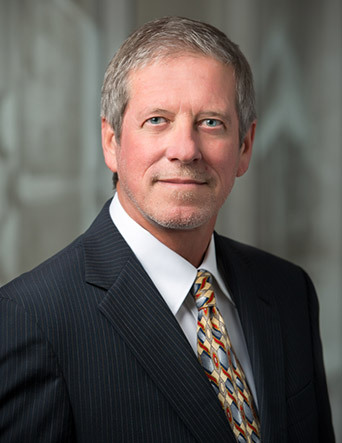 Prior to his experience at Exterran, Grady was the CEO and a director of First Wave Marine, a private equity sponsored regional leader in ship repair services for the offshore oil and gas and marine transportation industries based in Houston. Grady began his career with Chevron Chemical Company where he advanced through positions of increasing responsibility in operations and project management. He holds a Bachelor of Science in Chemical Engineering from North Carolina State University. Aaron is Vice President, Commercial Officer and is responsible for establishing and driving the global sales and marketing team with a focus on Chart’s industrial gas and energy business. In this role, he is responsible for coordinating client relationships and integrating them with strategic market requirements such that the sales and marketing efforts are aligned with Chart’s operational objectives. He has held a variety of sales management roles with the company, as well as several senior management positions, including Vice President, Global Energy Sales, Vice President, Brazed Aluminum Heat Exchanger and Lifecycle Services, Vice President, Energy & Chemical Sales, and Vice President, Chart Cooler Service Company. 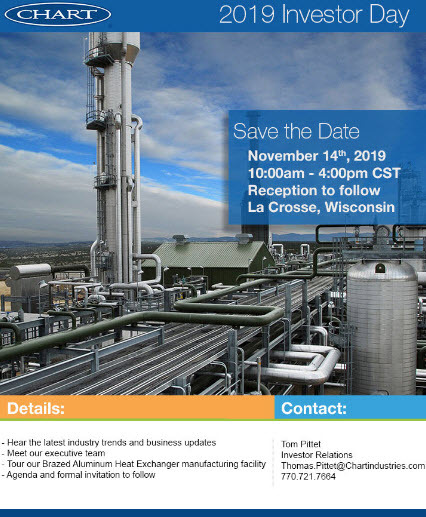 Prior to joining Chart, he was with Chicago Bridge & Iron Company for fifteen years as Director of Business Development, LNG, BDM Refining & Downstream, and BDM CB&I Services, along with several operations and engineering roles. Aaron holds an MBA from Northern Illinois University in DeKalb, Illinois, and earned his undergraduate degree in Mechanical Engineering from Auburn University in Auburn, Alabama. Scott is our Vice President and Business Automation Officer, serving in this capacity since September 17, 2018 and is responsible for CBS, Global Sourcing and Digital Strategy. Scott joined the company on March 27, 2017 as Director of Financial Services after serving as Director of Financial Planning and Analysis at Truck-Lite Co., LLC since September 2015. He spent 15 years at Truck-Lite and held various executive positions in finance and information technologies including Director of International Finance & IT. Prior to joining Truck-Lite in May 2000, he worked for the Carborundum Company, Monofrax Refractories Division for 12 years in various managerial accounting and finance roles. Steven W. Krablin has been a member of our Board of Directors since July 2006. Mr. Krablin served as President, Chief Executive Officer and Chairman of the Board of T-3 Energy Services, Inc. (“T-3”), an oilfield services company that manufactures products used in the drilling, production and transportation of oil and gas, from March 2009 until the sale of T-3 in January 2011. Prior to his employment with T-3, Mr. Krablin was a private investor since April 2005. From January 1996 until his retirement in April 2005, Mr. Krablin served as Senior Vice President and Chief Financial Officer of National Oilwell Varco Inc. or its predecessors, a manufacturer and distributor of oil and gas drilling equipment and related services and products. Prior to 1996, Mr. Krablin served as Senior Vice President and Chief Financial Officer of Enterra Corporation until its merger with Weatherford International, Inc. Mr. Krablin also serves as a director of Hornbeck Offshore Services, Inc. and Penn Virginia Corporation. 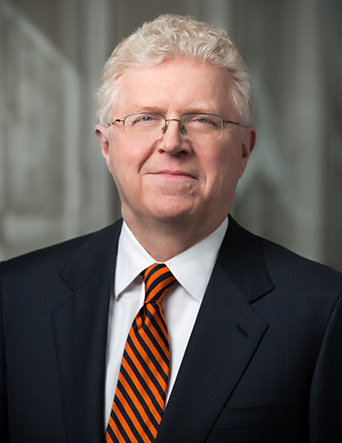 Retired Vice President, General Counsel and Secretary of Air Products and Chemicals, Inc.
W. Douglas Brown has been a member of our Board of Directors since May 2008. Mr. Brown served as Vice President, General Counsel and Secretary of Air Products and Chemicals, Inc. ("Air Products"), a global supplier of industrial gases, performance materials and equipment and services, from 1999 until his retirement in 2007. Prior to that, Mr. Brown held General Counsel and various administrative positions with Air Products and its affiliates, including engineering, construction and energy-related businesses, from 1975. Carey Chen has been a member of our Board of Directors since May 2018. Mr. Chen is currently Executive Chairman and President of Cincinnati Incorporated, a manufacturer of large industrial machine tools. Prior to joining Cincinnati Incorporated in January 2015, Mr. Chen served as Vice President of Hypertherm, Inc., a global provider of cutting products and solutions. During his eight year tenure at Hypertherm, Inc., Mr. Chen held various operating and corporate roles including Vice President & General Manager – Light Industrial Businesses, Chief Financial Officer, and Chief Information Officer. Earlier in his career, Mr. Chen served as Vice President – Finance for Wiremold | Legrand (PARIS: LR.PA); Chief Financial Officer for Bayliner Marine Corporation, a division of the Brunswick Corporation (NYSE: BC); and held various financial planning and strategic development roles for AlliedSignal, Inc. (NYSE: ALD). Mr. Chen also currently serves as an independent director of Digital Alloys, Inc., and is the Treasurer of the American Welding Society. Retired Chief Executive Officer and President of Airgas, Inc.
Michael L. Molinini has been a member of our Board of Directors since March 2017. Prior to joining the Board, Mr. Molinini served as Chief Executive Officer and President of Airgas, Inc. (“Airgas”) from August 2012 until May 23, 2016, and was Interim Chief Executive Officer from May 23, 2016 until June 30, 2016, when Airgas was acquired by Air Liquide. Mr. Molinini also served as a director of Airgas from May 2012 until May 2016. Before that time, Mr. Molinini served in various capacities at Airgas, including as Executive Vice President and Chief Operating Officer from January 2005 until August 2012, as well as positions at National Welders Supply Company and the Linde Division of Union Carbide Corporation. 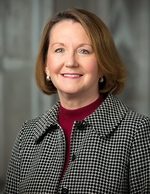 Elizabeth G. Spomer has been a member of our Board of Directors since May 2014. 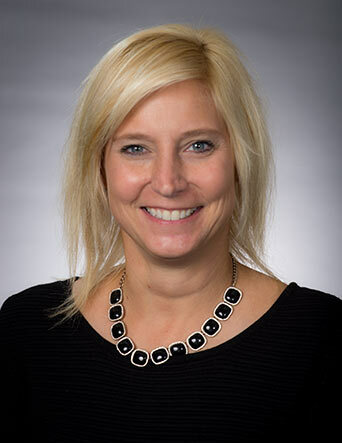 Since October 2014, Ms. Spomer has served as Executive Vice President of Veresen Inc. (“Veresen”) and as President and Chief Executive Officer of Jordan Cove LNG LLC, a wholly owned subsidiary of Veresen. Veresen is an energy infrastructure and operations company with a focus on developing North American natural gas infrastructure. Prior to joining Veresen Ms. Spomer was Senior Vice President, Global Business Development since 2012 for BG Group plc, a multinational energy company engaged in the exploration, development and production of natural gas and oil. Ms. Spomer joined BG Group in 2002, as Chief Executive Officer of BG LNG Services and, from 2004 to 2011, Ms. Spomer served as Senior Vice President, Business Development – Americas and Global LNG Region. Prior to joining BG Group, Ms. Spomer was employed from 1998 by BP plc, a multinational energy company with integrated operations in the oil and gas industry, most recently as Vice President of Asia Pacific Global LNG. Prior to that, Ms. Spomer was with Amoco Production Company, a global chemical and oil company, before it merged with BP plc, and she worked with other energy companies in various management positions earlier in her career. Thomas L. Williams has been a member of our Board of Directors since May 2008. Mr. Williams is currently Chairman and Chief Executive Officer and a director of Parker Hannifin Corporation ("Parker Hannifin"), a manufacturer of motion and control technologies. 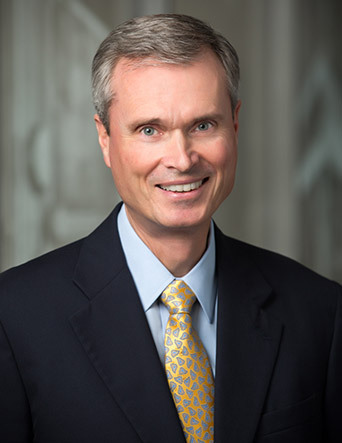 From 2008 to February 2015, Mr. Williams served as Executive Vice President and Operating Officer of Parker Hannifin. Mr. Williams joined Parker Hannifin in 2003 as Vice President Operations - Hydraulics Group and became President - Instrumentation Group in 2005 and Senior Vice President - Operating Officer in 2006. Prior to joining Parker Hannifin, Mr. Williams was employed by General Electric Company for 22 years, where he held various executive operating positions for four different business groups: GE Capital, Aviation, Lighting and Transportation.